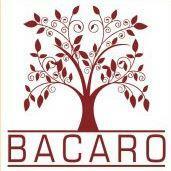 Bacaro is a collaboration brought to us by Bacchanal Wine Imports, and it represents the direct involvement of Bacchanal's family into the selection of the wines. This unique advantage guarantees consumers the highest quality for the best price. The selection is made in strict collaboration with the wine maker and the producer each year so that consistency is maintained year after year. The name Bacaro refers to the typical 'Bacari' in Venice. Having a snack in bacari is an established habit in Venice. Snacks in Venetian bacari are called cicheti (chee-keh-tee) and they are usually ordered together with a small glass of wine (called ombra in Venetian dialect, which literally means shadow).